They are dirty and carry diseases. They’re house mice and roof rats. The best of us get them, GUARDIAN can rid you of them! 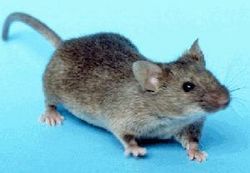 The House Mouse is the most common rodent pest. It can breed rapidly and adapt quickly to changing conditions. Mice can squeeze through a space the size of a nickel. To keep mice and other rodents out, make sure all holes larger than a pencil are sealed. Don’t overlook proper drainage at the foundation and always install gutters or diverts which will channel water away from the building. Micro droplets of mouse urine can cause allergies in children. Mice can also bring in fleas, mites, ticks, and lice into your home. Rodents usually can spread diseases, including potentially lethal hanta virus and arena virus. It’s estimated that 21 million homes in the U.S. are invaded by rodents every year in the winter. A pest management professional has the special training, experience and tools necessary to assure adequate protection against such destructive pests. Roof Rats get their name from their tendency to be found in the upper parts of buildings. They can also be found under, in and around structures. They only need a space of one-half inch to get into buildings. Ranging in size from 6 to 8 inches in length, not including their tails, they have very poor vision and are color blind. They do have extremely strong senses of hearing, smell, touch and taste. Roof rats are known for the damage they cause by chewing on materials and eating stored foods. To prevent rats from entering a home, seal up any holes or cracks larger than a quarter. Remove sources of moisture and harborage. Give our office a call and schedule to have one of our trained technicians come out and conduct a free inspection and estimate.